TRIMBLE, Lucien Lewis, was a longtime Life member of GOMA who served the Osteopathic profession and his community honorably for many years. 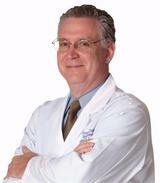 He started practicing osteopathic medicine in Moultrie, GA, before moving to Columbus and then to Atlanta in 1961. He practiced for almost 40 years and was the very essence of what an osteopathic physician should be. He comes from a family of D.O.'s . His father was a D.O., and he had three brothers and a cousin practicing osteopathic medicine. 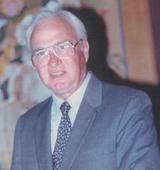 After serving on several committees through the State association, he was elected as President in 1952. 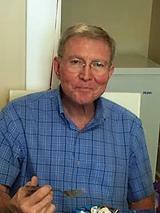 Dr. Richard O. Loyd, a Georgia Cancer Specialists physician and former bishop of the Athens 2nd Ward congregation of The , was a long time member of GOMA and was President in 2005. He recently return to serve on the GOMA board as Vice President 2017. He will truly be missed in the Georgia Osteopathic community. Bobby W. Hill, D. O.
Dr. Hill was licensed to practice Osteopathic Medicine by the Georgia State Medical Board and the Alabama State Medical Board and was certified in General Practice by the American Osteopathic Board of General Practice. He opened his Family Practice office in Powder Springs, GA in July 1978 – April 2017. He was a Board member of GA Osteopathic Medical Association for 6 years, Delegate of the American Osteopathic Association since 1994, and President of the Georgia Osteopathic Medical Association 1994-1995. Dr. Hill trained 3rd and 4th year students from the Philadelphia College of Osteopathic Medicine and also published several articles in magazines during his 39 years as a Physician.